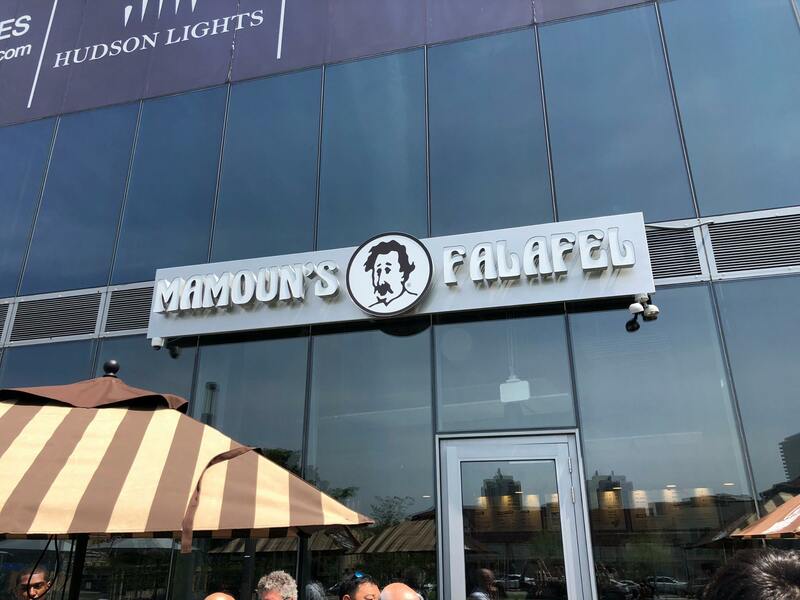 The Fort Lee location of the famous Mamoun’s Falafel is now open in the new Hudson Lights complex (187 Main Street). 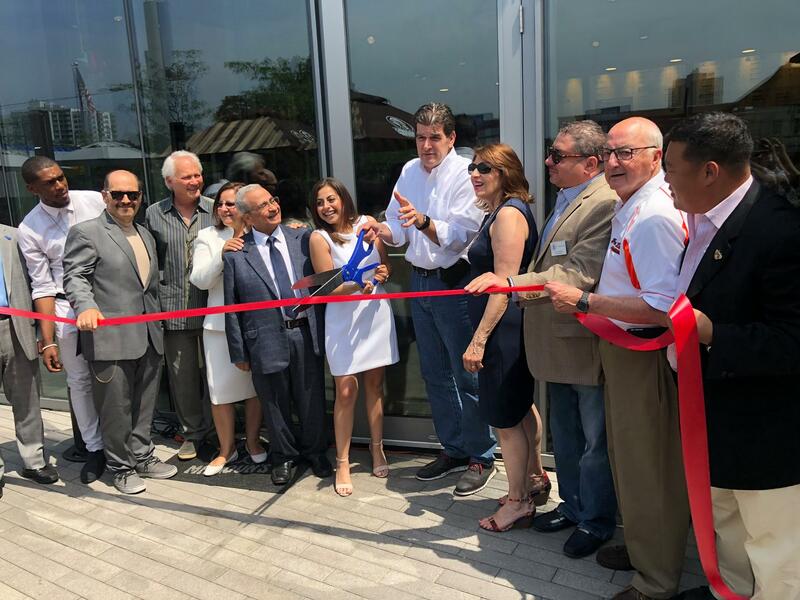 New Jersey natives, father and daughter duo Marina M. Yacoub and Magdy Yacoub are the franchisees excited to launch this North Jersey location of Mamoun’s, the beloved “original” New York City falafel brand (est. 1971). 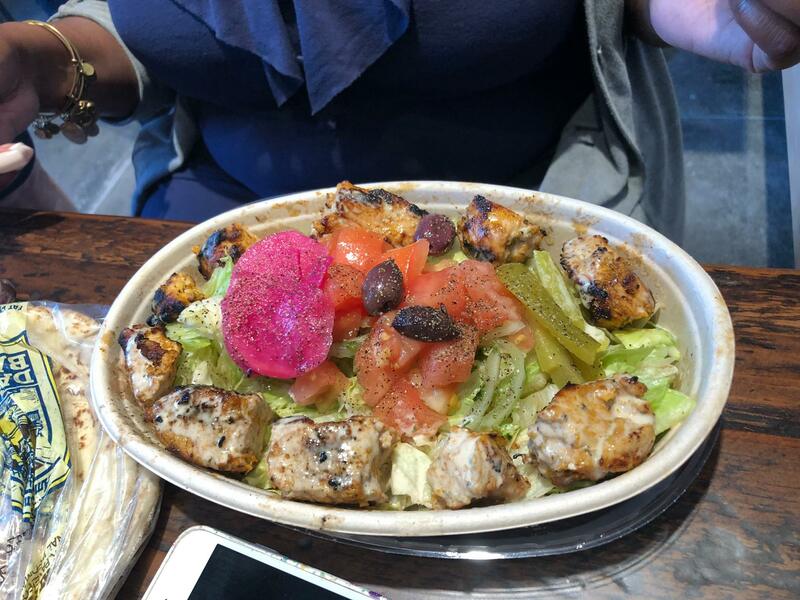 This neighborhood destination will serve the same delicious, freshly made Middle Eastern cuisine that first gained acclaim in the West Village more than 45 years ago. The 1,600 square ft. Fort Lee Mamoun’s location is open daily from 10 am to 10pm and has 25 seats for guests dining in plus seasonal outdoor seating for 12. For guests preferring to eat a home or on the go, Mamoun’s also offers takeaway, delivery and catering. The Fort Lee Mamoun’s joins the company’s other locations in New York City (MacDougal & St. Mark’s Place), New Jersey (Hoboken, New Brunswick & Princeton), Connecticut (New Haven) and Texas (Dallas) with further nationwide expansion planned. Everything Mamoun’s serves is made from scratch with their signature recipes using only the freshest natural ingredients and the finest imported spices. The menu will feature all Mamoun’s signature items including: salad, soup, vegetarian or meat sandwiches or plates and a la carte combo plates including its famous falafel and shawarma dishes. Accompanying the main dishes are tasty sides including: hummus, baba ganouji, pita chips, fries, pickled vegetables and more. Signature beverages include freshly-made Mamoun’s spiced tea and juices such as mint lemonade, mango and tamarind. Last, but certainly not least, are Mamoun’s delicious desserts baklava, knafe and mabrumeh; along with all the other traditional favorites that have made Mamoun’s a household name and the most famous Middle Eastern fast casual restaurant in the tri-state area. They are well known for offering delicious vegetarian, vegan and gluten-free options. The warm and welcoming design features include wood tables, custom patterned tile walls and floors consistent with other Mamoun’s locations. Located in Fort Lee’s developing business district, Mamoun’s is in good company near the iPic Theater, restaurants, retail and luxury residences. Delivery and catering will begin shortly after opening.